Suneden Special School was founded in 1943 and is an independent, not-for-profit, non-denominational school that caters to approximately 60 students aged 5 to 21 years with intellectual and multiple disabilities. Approximately 70% of the students have Autism; other medical conditions the students experience include Down Syndrome, Fragile X Syndrome, Cerebral Palsy and Global Developmental Delay. Many of the students at Suneden Special School, particularly students with Autism, experience challenges processing sensory information and self-regulating their sensory and behavioural responses. Alternative learning and development settings are required to support their needs and to facilitate their engagement in curriculum and other activities. 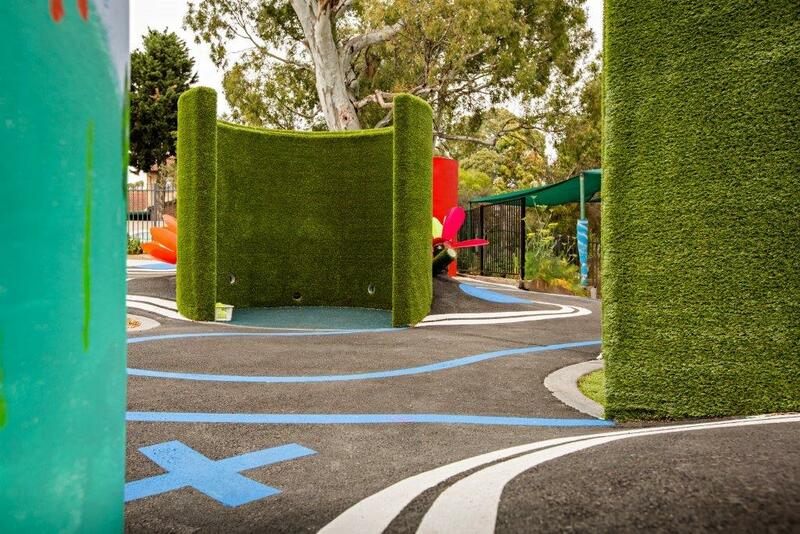 Consequently, the school is creating a new outdoor sensory play space especially designed for the students and the first of its kind in South Australia. 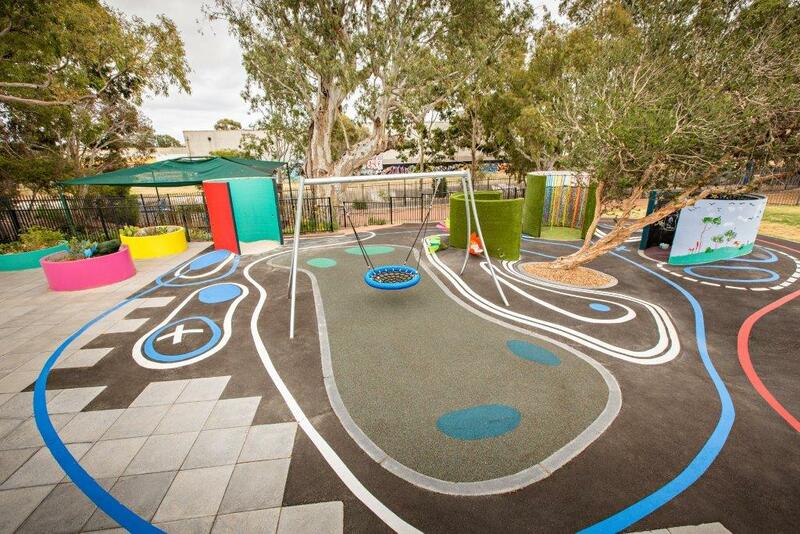 The play space has been designed collaboratively with school staff, parents, local community, and of course the students. The sensory play space will contain interactive features chosen to engage the senses which will help the students regulate their behaviour and improve their learning in the classroom. The main features of the play space are a “bird’s nest swing” and 4 sensory pipes. The sensory pipes will be made from concrete pipes installed upright in the space, with a doorway large enough for a wheelchair. 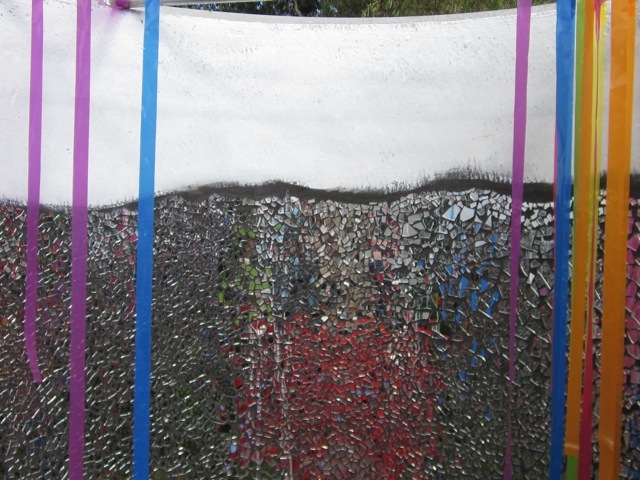 Each sensory pipe will have a different theme including; blackboard and chalk, water, and a mirror and rope maze. Suneden were seeking a $2,000 grant to assist with the cost of installation and decoration of each pipe (excluding purchase of the pipe itself), including safety rubber softfall to the base. 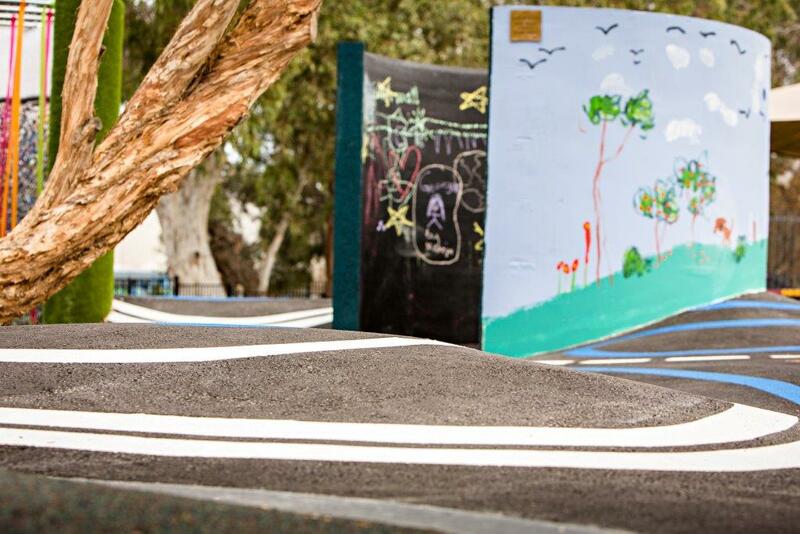 The concrete pipes will be installed during the September/October 2013 school holidays and will be decorated as funds become available. The materials required include black enamel paint, chalk and storage, artificial grass, mirror tiles, adhesive, rope, PVC pipe irrigation pipe and rubber to enclose the cut concrete pipe edges. The decorating will be completed by volunteers including friends and family of the school, local high school students and university art students. Suneden are aiming to have all of the four pipes decorated and functional by January 2014. The Board of UCF were pleased to approve a grant of $2,000 for such an innovative project. 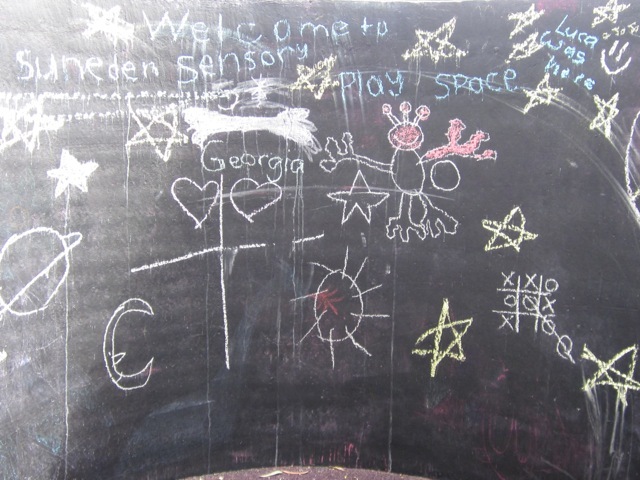 In December 2013 we received these photos of the new sensory play space which we understand is used enthusiastically by the students!